Paradise Fragments commission for Indooroopilly Shopping Centre. 17m and 8m decal mural. Spring brings untamed natural beauty through Brisbane with a unique combination of qualities. Flourishing shapes, vibrant colours and enchanting forms are all pleasing to the senses, especially sight. 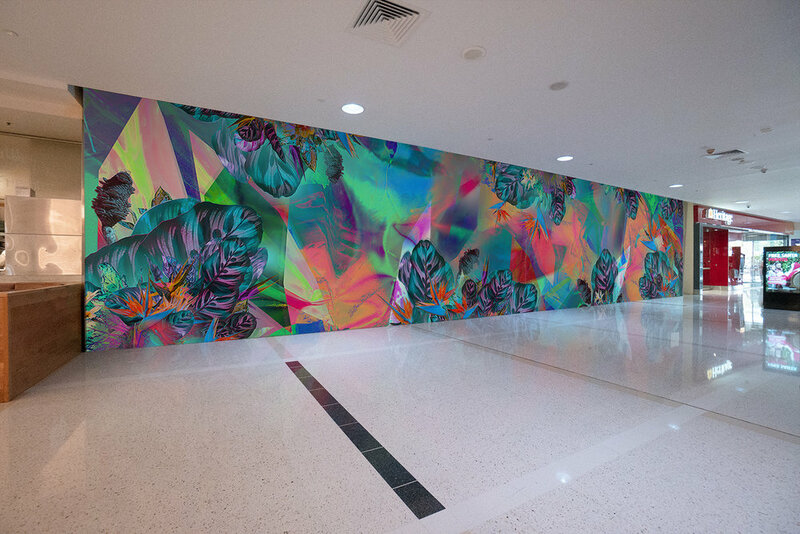 Paradise Fragments explores and reflects the unique energy of Brisbane in the time of fresh flowers, nesting birds, golden sunsets and rainy nights.